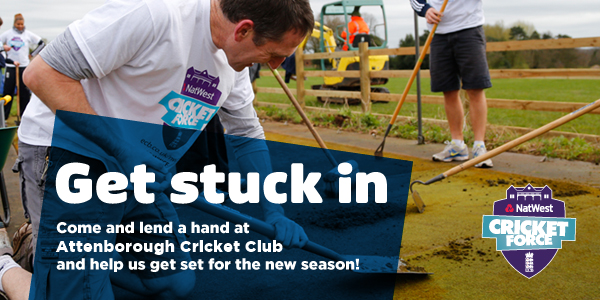 Please come and join us down at The Strand on Saturday March 28th from 9.30am onwards and help us prepare the ground and clubhouse for what I'm sure will be an exciting summer of cricket. With the first friendly game taking place on April 12th, the season really is just round the corner. There are plenty of jobs for everyone; young and old, skilled and unskilled. Amongst other work that needs doing; the nets are to be put back up, net surface scraped and cleaned, covers reinstated and the sightscreens given a lick of paint. Hopefully we'll get some good weather and, more certainly, there will be hot drinks and bacon cobs available so, even if you can only spare an hour or two, please come down to give us a hand.